“Oh look, he’s punting away at potatoes again.” Yes, I am. 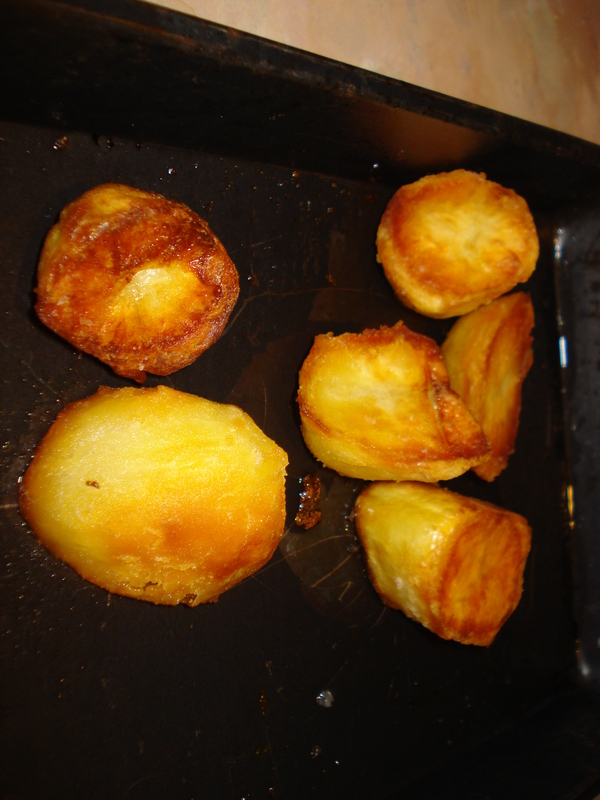 During my last venture into the world of perfect roast potatoes, sailing the good ship Jamie Oliver, I unwittingly created a post with a life of it’s own. It’s pulls in lots of hits and a fair few comments too. One of the comments by Patrick Zahara (great name!) boasted of his own technique for perfect roast potatoes. I was suspicious of his ideas but how can I turn down advice on a plate like that? I was so skeptical that I dedicated two potatoes to the Zahara method, while the remainder went to one of my usual techniques. They were cooked in the same oven at the same temperature, on the same shelf, in two identical baking trays. 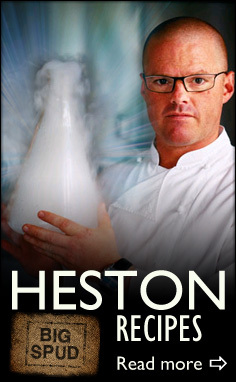 That way I hopefully gave them both a fair deal, allowing the ideas and flavours to show through. 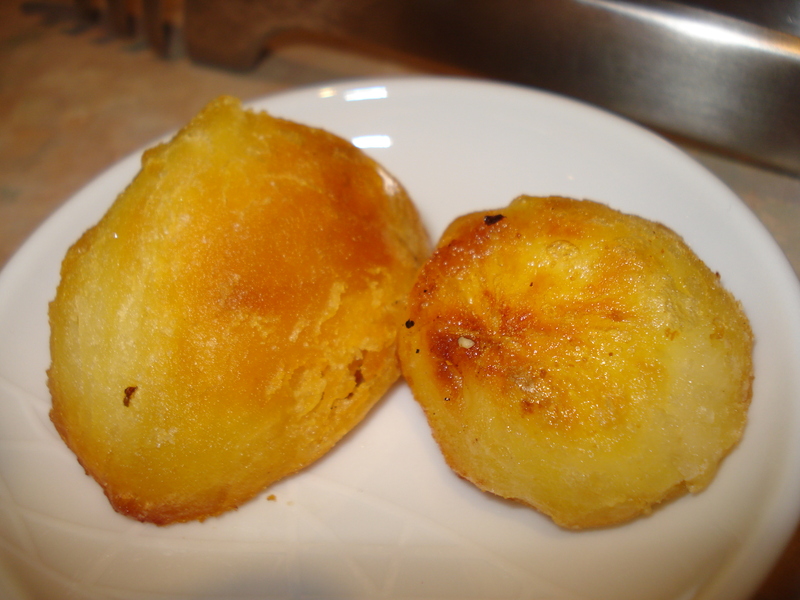 The Zahara Method involved boiling the whole potato from cold, skinned and chopped when tender. Then tossed in a little olive oil and salted. Meanwhile for my group I peeled and chunked them, boiled them alongside the peelings until nearly soup, then tossed in pre-heated duck fat. Halfway through I squished gently with a potato masher, tossed with sea salt and pepper, rosemary, garlic cloves and a splash of red wine vinegar. My twist on this occasion was shard of star anise – I wanted a little of it’s exotic perfume and savoury note, but not too much. So, how were they? The Zaharans were ready much sooner, maybe 15 minutes ahead of mine, browning very quickly. I had the chance to prod and inspect them. They had a shiny, crystalline finish that had a loud tap when rapped. Mine came out their usual rag-tag selves, rippled and nobbly with a shin finish, threatening to fall apart when prodded. When they were finally both ready on the plate side-by-side, they could be properly tasted. The Zaharans had a very hard finish, like the crack of a shop-bought biscuit. The inside was floury and had some taste. Mine for today had a crisp, layered surface with fluffy, fudgy potato filling. As you bite subtle perfumes of garlic, rosemary and the faintest hit of vinegar comes through, and finishes with earthy tones. I’m sorry, but there was no contest here. 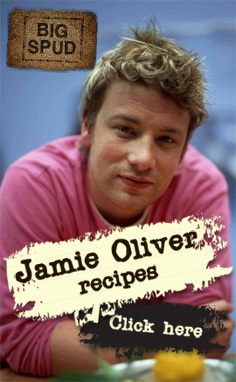 The levels of flavour, crispiness and all-round satisfaction from my tried-and-tested method made it the clear winner. My criticism for today is that I got wussy on the star anise and couldn’t taste any of it, but I’m scared of it overpowering the potatoes. One thing I can say in defence of the Zaharans is they were almost certainly healthier. 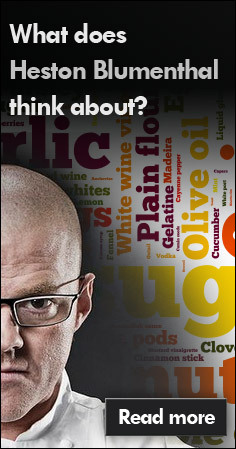 Mine had to wade their way out of duck fat, not great for the ol’ ticker I’m sure. But the taste! Boil the potatoes whole from cold water. When tender, peel and chop into chunks. Toss in a little olive oil and salt and roast in a 200°C oven until crisp, turning once. Boil the potatoes in salted water until nearly falling apart. Keep the potato peelings and put them in a J-cloth or muslin with the boiling liquor and discard when done. Drain and allow to steam-dry for a couple of minutes while you pre-heat the duck fat in a 200°C oven. 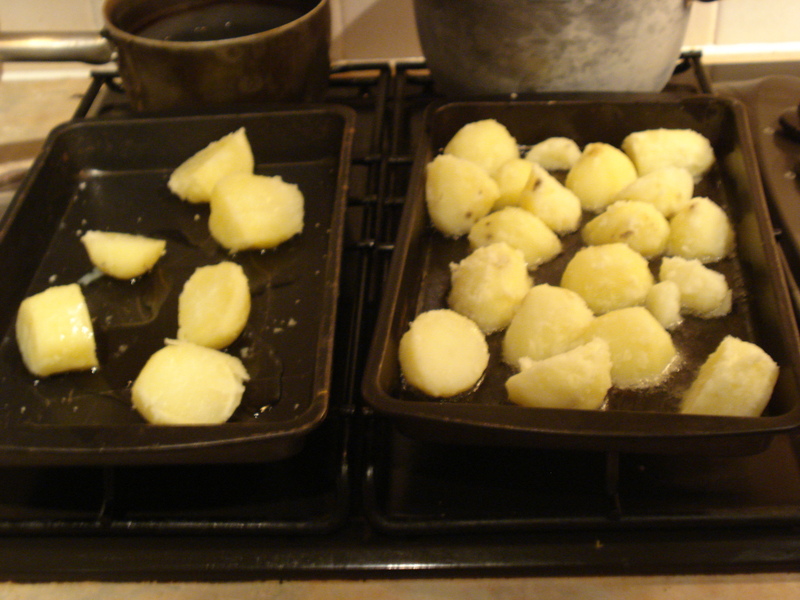 Shake the potatoes as much as you dare to chuff up the sides, then tip into the smoking fat. After 25 minutes, gently squash the potatoes with a masher to open up the sides a little. Chuck in the rosemary, garlic, vinegar and star anise and a generous helping of salt and white pepper. Continue roasting until browned to your liking (about another 25 minutes). 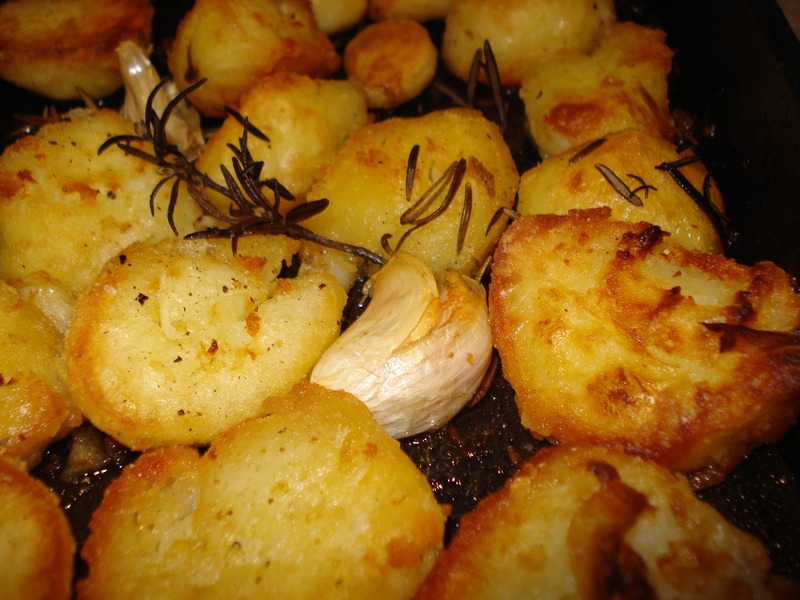 This entry was posted in food, potatoes on January 27, 2010 by Gary.